Prerequisite: Master Degree with a minimum of 30 credits in theology, divinity or other ministry-related disciplines. 60 CREDITS required for this program. The DMin degree is designed to prepare students as interspiritual ministry professionals in the development and deployment of applied ministry applications. Before approval into the program students must articulate a thesis statement. On entering the DMin program, students are assigned to the director of the program as their advisor. The advisor assists the student in reflecting both on an overall program of study and on specific courses for the program. This advisor will normally be an academic in their primary area of Applied Ministry or Divinity and will serve as chair of their dissertation committee. Students must complete all required coursework and pass their competency exams. Under direction of their advisor, students next prepare a ministry project proposal. The proposal should be submitted by the end of the academic term after passing competency examinations. Upon approval of the ministry project proposal, the student is admitted to candidacy for the DMin. The candidate then begins the approved ministry project, always maintaining frequent communication with the program advisor. Regular written updates and descriptions of the project status are to be submitted to the program advisor. In addition to regular communication and the submission of written reports to the program director, the candidate shall submit a written report detailing the project status, evolution and projections to the program director and dean once every thirty (30) calendar days for the duration of the project. When the ministry project is completed, the thesis is then prepared and submitted. This should ordinarily take place within four to six academic terms after the competency examinations are passed. If the thesis is not submitted and accepted within four academic terms after the preliminary examinations, the student may be dropped from candidacy. Candidates may petition the dean in writing for an extension, with recommendation from the program advisor. 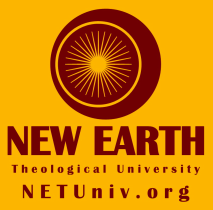 Students are encouraged to seek academic advice from their principal advisor, the dean, and other NETU faculty throughout the course of their studies.